Originally a district of the Northwest Territories, the Yukon was a fur trading area of the Hudson’s Bay Company during the mid-1800s. The discovery of gold on Bonanza Creek caused a stampede of fortune seekers. The gold rush brought fortunes for many, but for others just grim disappointment. The Yukon (from the Native word Yuchoo, meaning “great river”) is a region of mountains and valleys. Situated in the northwestern part of Canada, the Yukon is bordered by the Arctic Ocean, Alaska, British Columbia and the Northwest Territories. The terrain of the Yukon is mostly mountainous. The territory’s principal river system is the Yukon, one of the longest on the North American continent. Beginning at a group of headwater lakes on the BC/Yukon border, it stretches 1,120 kilometers across Yukon’s southern and western section before crossing Alaska and emptying into the Bering Sea. Tourism is the territory’s major industry. The Yukon is a land rich in natural resources, known for its vast forests and powerful rivers. Mining is the second most important industry with 25 known minerals. 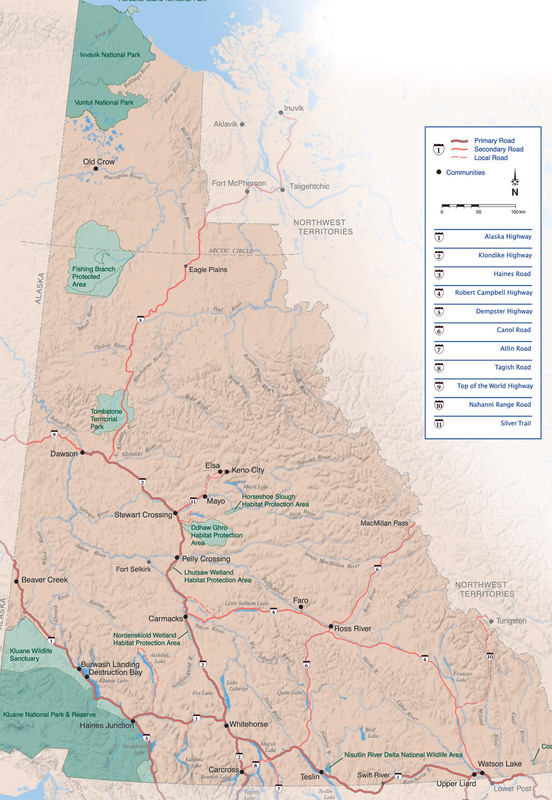 By Land - Two main routes lead from British Columbia: the Alaska Highway begins at Dawson Creek and stretches for 2,233 kilometres (1,388 miles) before reaching Delta Junction, Alaska. 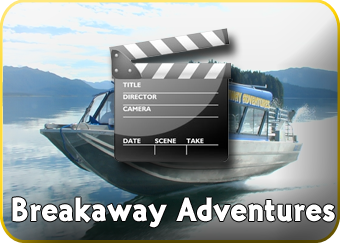 It’s asphalt-surfaced and you’ll find gas, food and lodging every 32-80 km (20-50 miles). The Stewart-Cassiar Highway winds through BC’s interior, meeting the Alaska Highway 22 km (14 miles) west of Watson Lake, Yukon. It has been upgraded to all-weather status but is a remote road: plan ahead for gas, food and lodging as services are limited along the route. By Air - The Yukon is less than a day’s flight from any North American city. Daily flights run from Vancouver to Whitehorse; scheduled air service is also available from Juneau, Anchorage and Fairbanks, Alaska. By Sea - Regularly scheduled ferry service to Alaska and the Yukon runs from Bellingham, Washington and Vancouver, BC. The trip up the Inside Passage is a favorite way to travel north: the scenery is breathtaking and the route is teeming with eagles, whales and other wildlife. 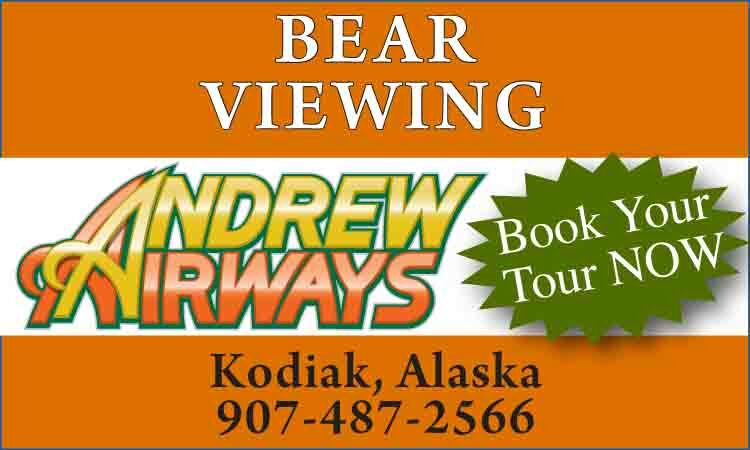 Reservations are required; call 1-800-642-0066 for Alaska Ferry information, or 1-250-386-3431 for BC Ferry schedules. 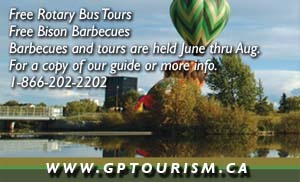 By Bus - Scheduled motor coach service to the Yukon is available six days a week from Juneau, Anchorage and Fairbanks, Calgary and Edmonton, Alberta and from Vancouver, BC. The following museums are just a few of the many historical sites that preserve the rich heritage and distinct culture of the Yukon. MacBride Museum, situated next to the Yukon River, Whitehorse is an interactive facility showcasing the natural and cultural history of the Yukon Territory. The visitor will find a diverse range of northern exhibit themes from the ancient people of Beringia to the Klondike gold fields. The museum displays two important historic buildings: Sam McGee’s cabin and the Government Telegraph Office. Yukon Transportation Museum, Whitehorse has everything from First Nations skin boats, snowshoes and dog sleds to a full-size replica of the Queen of the Yukon airplane. George Johnston Museum, Teslin is home of the largest Tlingit artifact collection in the Yukon. George Johnston was a famous Tlingit leader, trapper, trading post operator and photographer, whose camera captured First Nations life in the Yukon from the 1920s to 1940s. Also on display is a rare Tlingit gambling mat and George Johnston’s 1928 Chevrolet car, the first of its kind in the area. Keno City Mining Museum, Keno City features memorabilia dating from Keno City’s heyday as the largest silver producer in North America. Kluane Museum of Natural History, Burwash Landing displays some of the finest mounted wildlife exhibits in the Yukon. Northern Lights Centre, Watson Lake features a 50-foot tilted dome to experience the northern lights inside a special multi-media planetarium theater and a star projection system capable of projecting 2,354 stars onto the dome. The Yukon Beringia Interpretive Centre in Whitehorse offers a unique and exciting look back to an ancient time of mammoth beasts and North America’s first people. Founded in 1997, the Centre provides visitors the opportunity to step back in time to learn and understand the significance of this era. Located just off the Alaska Highway south of the International Airport, the Centre is a multimedia exposition featuring life-sized exhibits of animals of the last Ice Age, interactive computer kiosks and dioramas depicting the unique landscape, flora and fauna of Beringia. The Alsek Music Festival welcomes summer from the banks of a glacial river rushing past the feet of Kluane National Park’s spectacular mountains. Yukon musicians and an enthusiastic audience sing, play and dance in one of the world’s most beautiful settings. Each July, in the heart of the Klondike, the Dawson City Music Festival stretches for three wonderful days under the Midnight Sun. The festival is famous for the talented musicians it has been attracting for over 20 years. It is known nationally as “Canada’s tiny, perfect festival” and among Yukoners as the party not to be missed. Every year storytellers from around the globe gather beneath the midnight sun for the Yukon International Storytelling Festival: an international celebration of a powerful art form that entrances audiences of all ages. February may be one of the coldest months of the year, but to those in the north, it means the beginning of the end of winter. Both visitors and Yukoners alike can take the bite off winter with some hot music at the annual Frostbite Music Festival held in Whitehorse. The eclectic array of concerts, dances, workshops and children’s activities create a musical experience for everyone. The majority of Yukon First Nations peoples belong to one of the Athabaskan or Tlingit language families: Gwitchin (Old Crow), Han (Dawson City), Northern Tutchone (Mayo, Carmacks, Pelly Crossing), Southern Tutchone (Whitehorse, Haines Junction, Burwash Landing, Champagne), Kaska (Ross River, Watson Lake, Upper Liard), Tagish (Tagish), Tlingit (Carcross, Teslin) and Upper Tanana (Beaver Creek). Traditional Yukon First Nations social and political organization is based on two matriarchal clans, Crow and Wolf. The rule of Opposite Clan Marriage stipulates that Crow must marry Wolf, ensuring that there are always ties between clans and between people from distant places. Yukon First Nations share a special understanding of life in the North. They have been at home with the land for thousands of years, making their living by hunting, trapping and fishing. In years past, the Yukon First Nations dispersed into small family groups during the winter and spring but came together in summer to catch spawning salmon and in fall to hunt migrating caribou. Moose and sheep also sustained the people. Life in the northern forest required mobility, so some materials and food were made and stored at traditional campsites along well-established trail systems.